The decision was taken by Chief Minister and Delhi Jal Board Chairman Arvind Kejriwal in a meeting, where he directed that all the four projects should be completed by March-end. The Delhi government on Wednesday gave its nod to four new projects in the city for a better water supply in the coming summers. The projects will include water extraction from six locations between Okhla and Wazirabad, development of recently identified water pockets in Dwarka, installation of bores in areas with high water table and restarting the closed ranney wells and borewells across Delhi. The Central Ground Water Board (CGWB), in a 2016 report, had identified six locations on the Yamuna flood plain between Wazirabad and Okhla with a potential of 383 MLD (million litres per day) water. "The six locations on the Yamuna flood plain have a potential of 383 MLD water. The Delhi Jal Board is already extracting some water from one or two of the locations. However, most of the potential is untapped," a statement from the Chief Minister's office said. For the newly-identified water pockets in Dwarka, Mr Kejriwal said that it is expected to create an additional 22.5 MLD water for the area. Last week, Mr Kejriwal approved a pilot technique for treatment of water with ammonia. The pilot project has paved the way for restarting the non-functional seven ranney wells and around 125 borewells. "Now the problem of ammonia in water can be handled with the new technique. The ammonia treatment plants should be put up as soon as possible to restart these non-functional units," Mr Kejriwal said. The Chief Minister also directed the officials to identify areas for additional bores in north and east Delhi where water table is high. "Additional bores can also be done in north and east Delhi areas where water table is high and the problem of ammonia can be done away with putting up the treatment plants. "These additional bores will not only make these areas self sufficient for water but will also create additional water which can be then supplied to other water-deficient areas of Delhi," Kejriwal said. 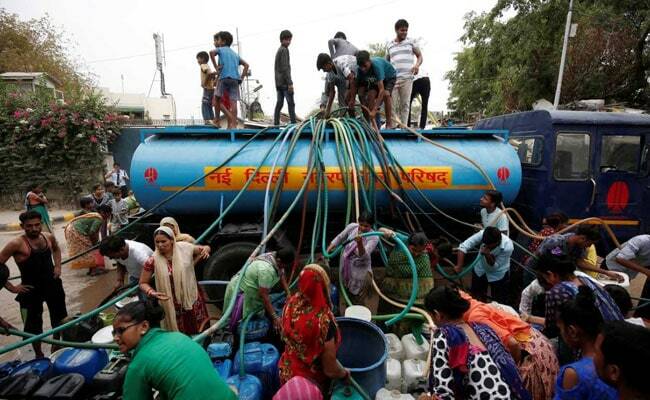 Additional water created in east Delhi would then be supplied to south Delhi areas which face problem of water. The meeting was also attended by Deputy Chief Minister Manish Sisodia, Urban Development Minister Satyendar Jain, Vice Chairperson DJB Dinesh Mohaniya, MLAs from east and north Delhi, Chief Secretary Delhi, CEO Delhi Jal Board and senior officials of the Delhi Jal Board among others.